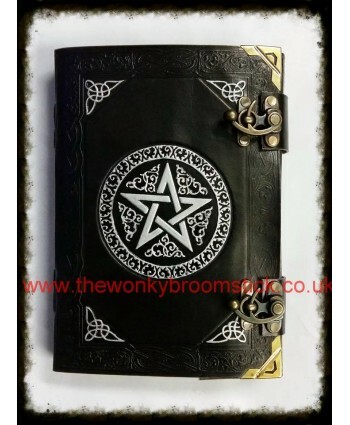 Handmade Pentagram Journal with clasp Lock Brand New!! Our own exclusive design.... 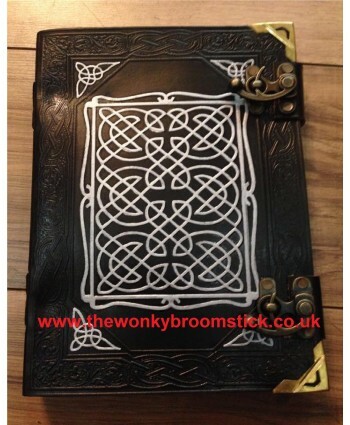 Handmade leather bound blank Journal to be used as a diary, journal, book of shadows, sketch book or whatever you would like to use it for. The inside pages consist of blank handmade parchment style paper, ideal for drawing, painting and fountain pen use. A wonderful gift for someone if you want that so.. 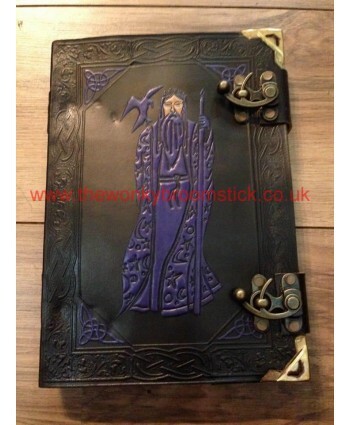 Handmade Merlin design Journal with clasps Our own exclusive design.... 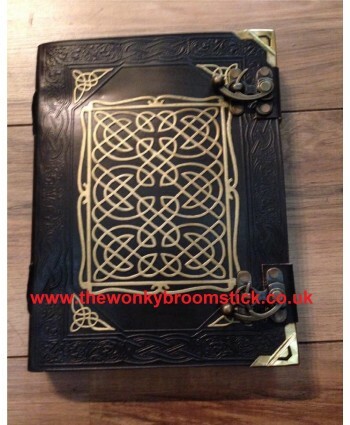 Handmade leather bound blank Journal to be used as a diary, journal, book of shadows, sketch book or whatever you would like to use it for. The inside pages consist of blank handmade parchment style paper, ideal for drawing, painting and fountain pen use. A wonderful gift for someone if you want that something uni.. 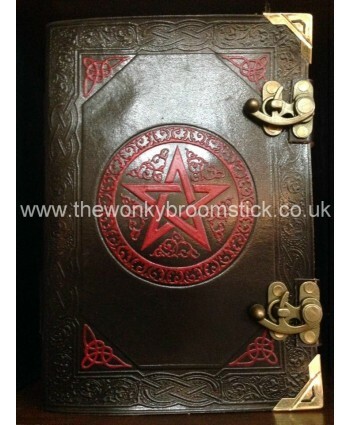 Handmade Pentagram in black and red Journal with clasp Lock Brand New!! Our own exclusive design.... Handmade leather bound blank Journal to be used as a diary, journal, book of shadows, sketch book or whatever you would like to use it for. The inside pages consist of blank handmade parchment style paper, ideal for drawing, painting and fountain pen use. A wonderful gift for som..